All of you new and old students, listen up! There is a huge party going on, on the 22. of september at Regina Georges house, which of course is in Klub Tiffany! It will be an “grool” party, with all the popular kids from your and my high school! On this Trash-Out party we will take you back to the not so great high school days. 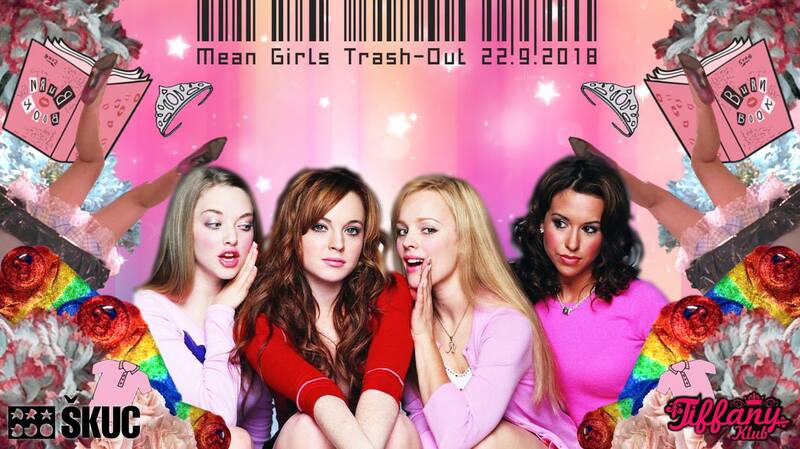 Particularly to 2004 when the cult classic Mean Girls film came out. Staring our favourite party girl: Lindsay Lohan!! We will answer all the hard questions! Like: is butter a carb?? Don’t be the one who doesn’t even go here!